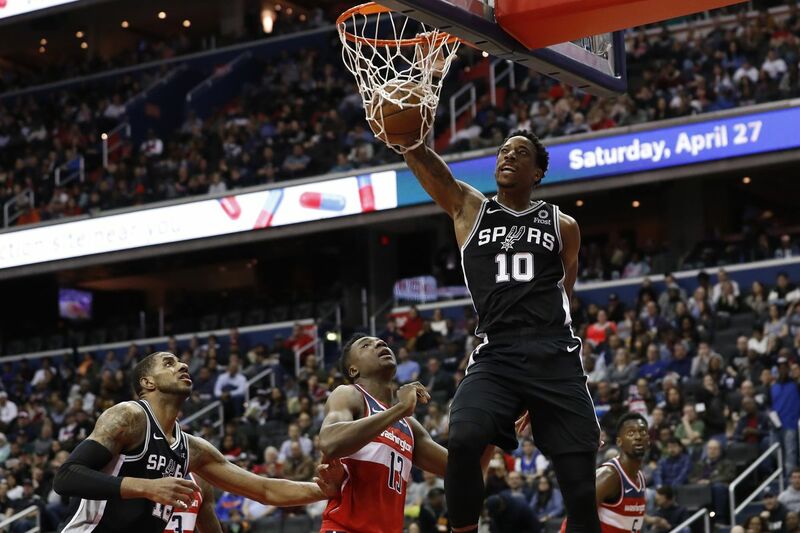 The Wizards lost to the Spurs 129-112 on Friday night in game that wasn’t as close or interesting as the final score would suggest. Washington had a solid offensive performance thanks to Bradley Beal, who scored 25 points in just under 31 minutes, and Thomas Bryant, who added 19 points on 8-of-10 shooting. But once again, they couldn’t figure out a way to slow down the Spurs’ offense. They racked up 132 points on 57 percent shooting from the field when they met in January. They went for 129 on 56 percent shooting in the sequel. San Antonio got whatever they wanted and made sure everyone got in on the action. Eight of the nine Spurs who played at least 15 minutes scored at least 10 points. The good news is Washington’s youngsters got plenty of time to play since the game was noncompetitive for most of the second half. Bryant, as mentioned earlier, had an efficient night. Troy Brown Jr. had 13 points, 4 rebounds, and 3 assists. Two-way player Devin Robinson got his first playing time since January and finished with 4 points, 5 rebounds, and 2 blocks in 14 minutes. Unfortunately, it wasn’t all good news for the Wizards’ developing talent. Jordan McRae left the game with a sore left Achilles and did not return. Everyone dials back in different ways once it becomes clear the playoffs are out of reach, but it Satoransky’s case, it’s really hurting his offensive production. He’s only scored in double digits once in the last six games, and he was held under 6 assists in four of the last six games. He’s 5-of-21 from the field over the last three games, including a 2-of-8 performance against the Spurs. Next up: The Wizards (32-48) head to New York for their final road game of the season against the Knicks (15-63) on Sunday night at 7:30 pm Eastern Time. Two different teams in different leagues should be inspiration for the Wizards We went through two teams’ building strategies in the last week. The Wizards shouldn’t follow another team’s blueprint completely. But they can still take a page or two out of others’ playbooks. The Mystics are Vegas favorites to win the 2019 WNBA championship Though I don’t think the Mystics are the favorites, the bookies are saying otherwise. Still, this team is contending.